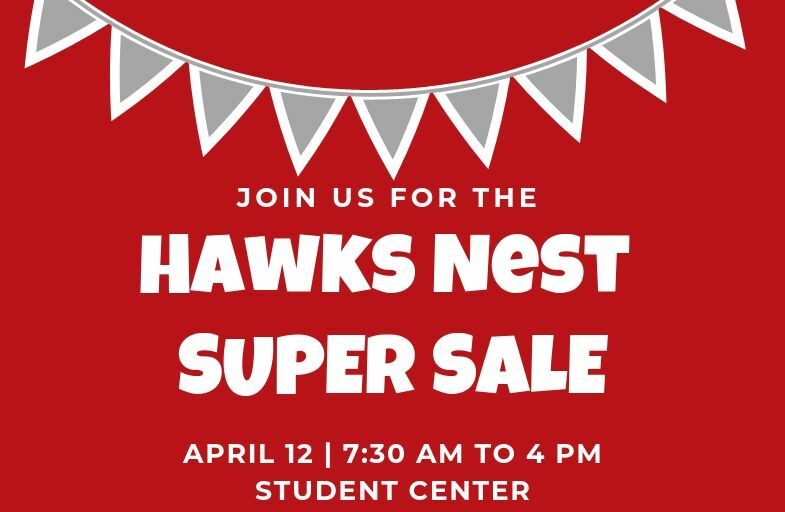 Visit the student center next Friday for serious markdowns on Hawks Nest inventory. There will be storewide markdowns from 10-50% as well as clearance items and a used uniform sale. The hours are 7:30 a.m. to 4:00 p.m. on Friday April 12th. Checks, cash and credit cards accepted.